If you usually use storage services on the cloud like those offered by Dropbox, Google Docs or Box.net, you will be interested in Joukuu. 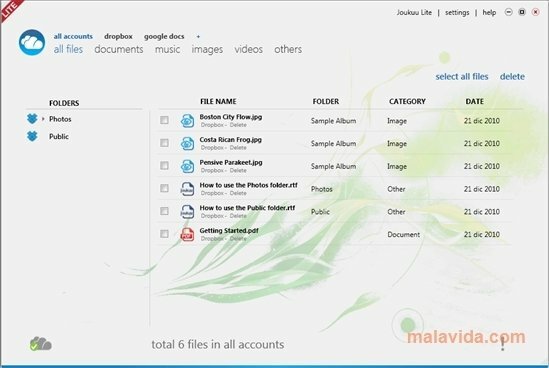 It is a program with which you will be able to manage the folders and files that you have stored on the cloud in a simple way. 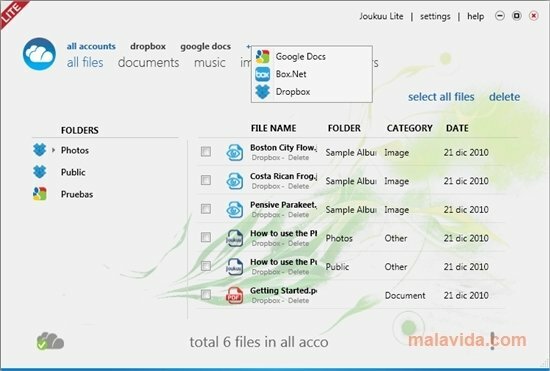 With Joukoo you will be able to access all the files that you have stored in these services and create folders or easily eliminate files. Having to open each one of the accounts where you have files stored on the cloud may workout being somewhat bothersome, making you work slower. Joukoo makes it possible to have all your accounts in a single application. 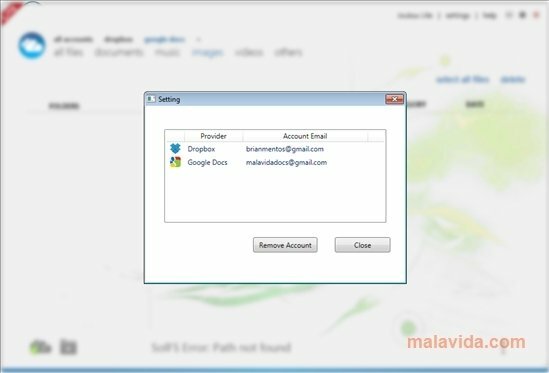 You will only have to add all your accounts to Joukuu and you will be able to see all the files that you have stored, create new folders, add new filters or eliminate them. Simply dragging and dropping the elements that you want to copy to the corresponding folders is enough. 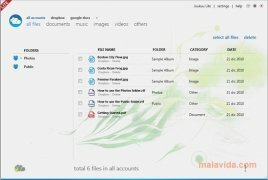 Joukuu will allow you to view the files according to their category, in other words, you will have the possibility to view only the images, music, videos or everything. Download Joukuu and use this tool for free to manage all your files stored on the cloud.